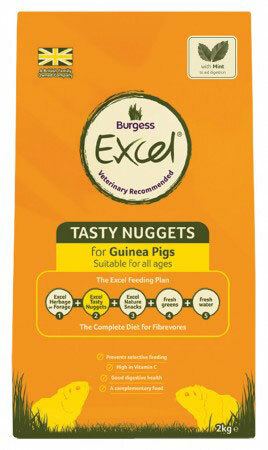 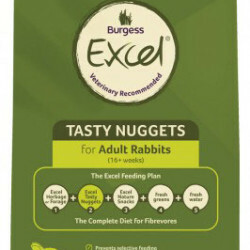 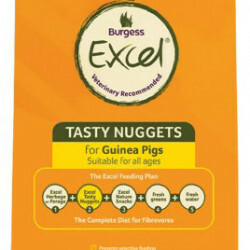 Part of the Excel feeding plan a delicious, complementary food for guinea pigs that is high in fibre and vitamin C and rich in nutrients. 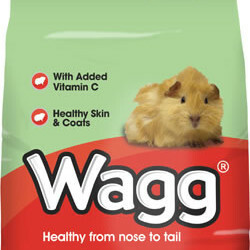 Categories: Guinea Pig, Small Animals. 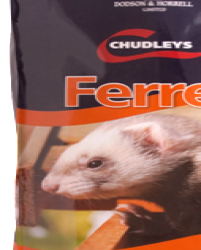 Wheat, Grass, Lucerne, Soya Bean Hulls, Peas, Oat Feed, Sugar Beet Pulp, Yeast, Mint, Ligno-cellulose, Soya Oil, Monocalcium Phosphate, Salt, Short Chain Fructo-oligosaccharides 0.25%, Minerals.